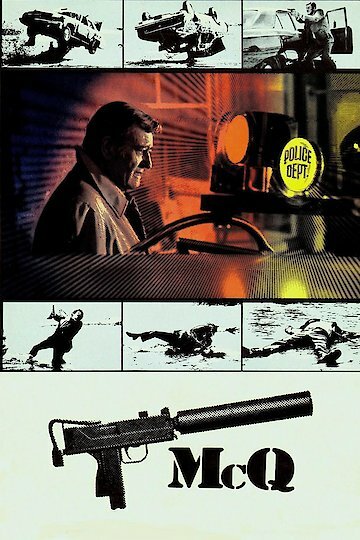 This is a crime drama starring John Wayne as a police lieutenant McQ in Seattle, WA. McQ lives on a boat, he learns one morning that some cops have been killed in Seattle, and one of them was his ex partner. The local detective assigned to the case thinks it was an isolated incident. McQ thinks there is something more to it, and investigates the crime on his own. What he uncovers as he investigates is shocking and has far reaching issues of police corruption. How he handles what he discovers as he goes along is paramount to his own survival. McQ is currently available to watch and stream, buy on demand at Amazon, Vudu, Google Play, iTunes, YouTube VOD online.